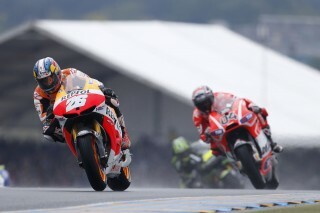 Repsol Honda’s Dani Pedrosa and Marc Marquez stormed to their third successive double podium of 2013 in tough wet conditions at the GP of France. 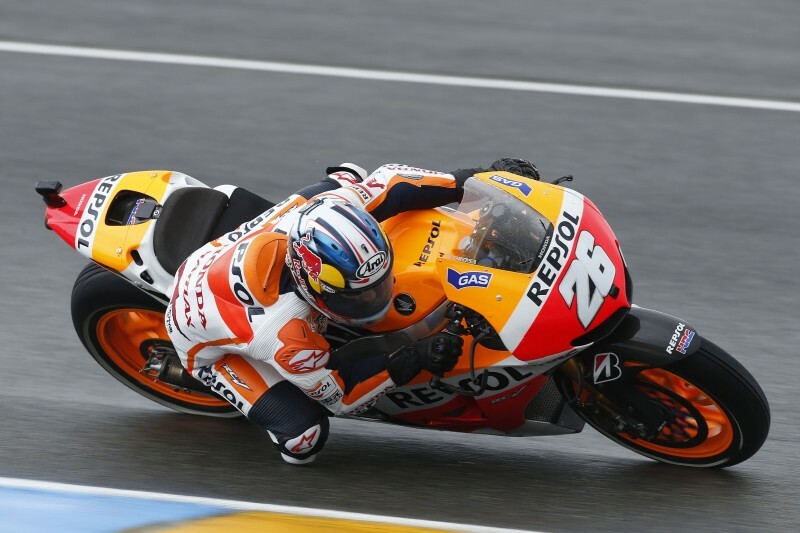 Dani, starting from 6th, performed his trademark lightning fast start and was up to 3rd by the first corner. 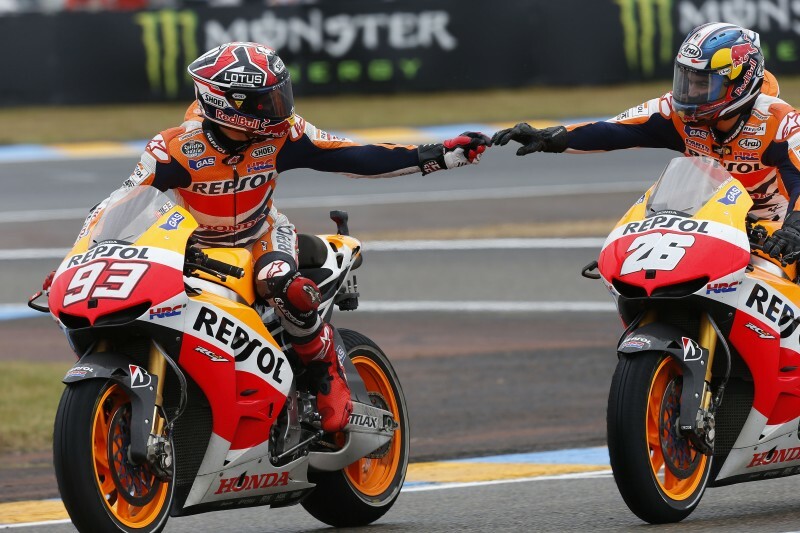 He managed to pass Lorenzo on lap three and then had an intense battle with Dovizioso, swapping the lead, for eleven laps but finally passed him on lap fourteen and began to open up a gap and control the race. 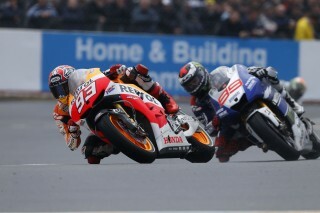 Teammate Marc, starting from pole, had a bad start and found himself down in 8th after the first lap. However, he used the opportunity to learn about racing a MotoGP bike in the wet and gradually made his way through the pack. 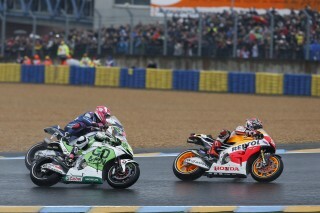 After passing Lorenzo, Bradl crashed out and Rossi made a mistake which promoted him to 5th on lap 18. 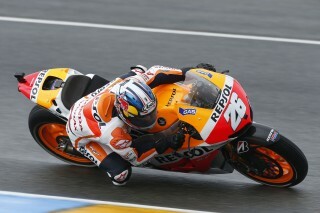 He then chased down Hayden and Dovizioso to claim a remarkable podium in very difficult conditions. 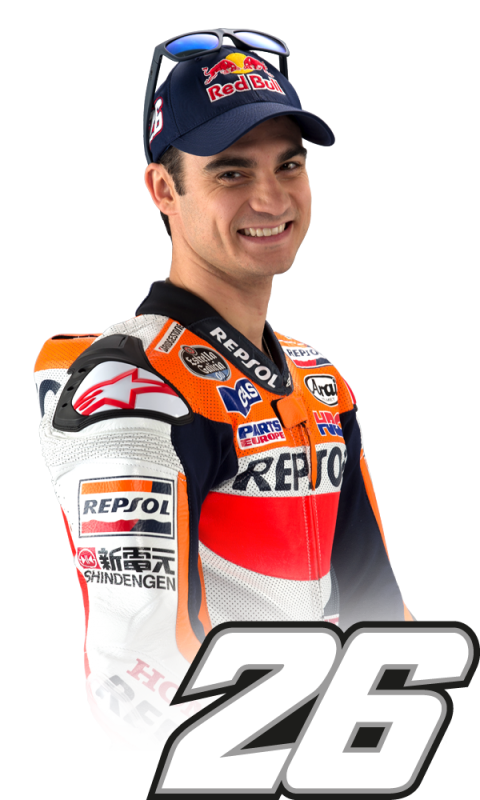 With this victory, Dani has now won eight of the last twelve races and equals Wayne Rainey and Jorge Lorenzo in all time MotoGP class victories with 24. 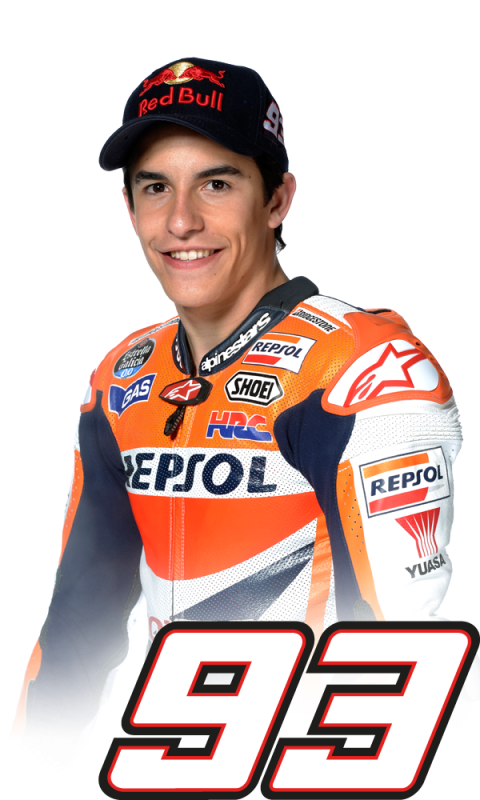 He has scored a total of 3011 points across all three classes during his grand prix career and becomes only the third rider ever to pass the milestone of 3000 grand prix points, after Rossi (with a current total of 4604 career points) and Capirossi (3215 career points). Dani now leads the Rider’s World Championship standings with 83 points and Marc is second on 77 points. Honda increase the lead in the Constructor’s Championship with 91 points to Yamaha’s 77 and the Repsol Honda Team lead the Team Championship with 160 points, 47 ahead of Yamaha Factory Racing. 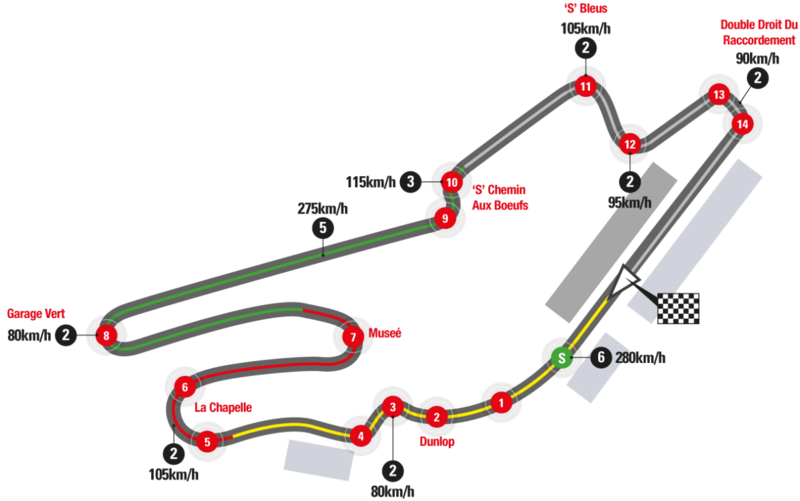 Built in 1965 around the existing 24-Hour track, the Le Mans Bugatti Grand Prix race circuit lies 5km south of the city of Le Mans and 200km south-west of Paris. 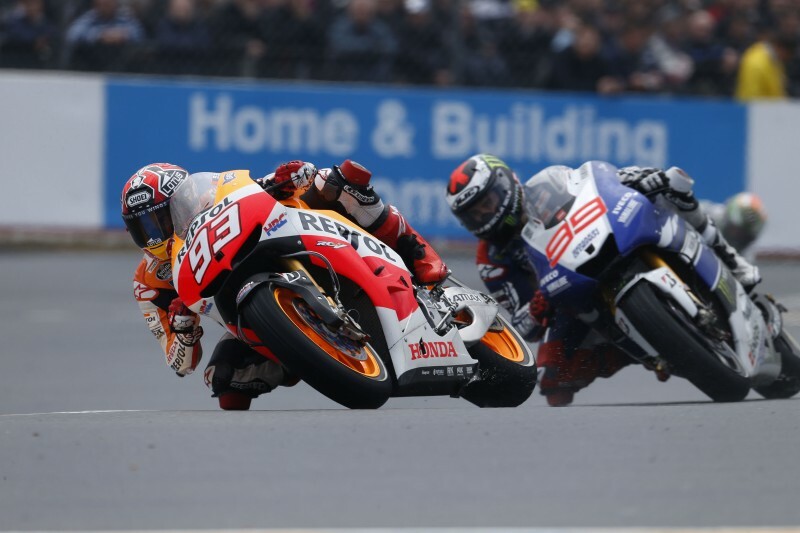 The venue has hosted Grand Prix since the late sixties but a serious accident to Spanish rider Alberto Puig in… read more.